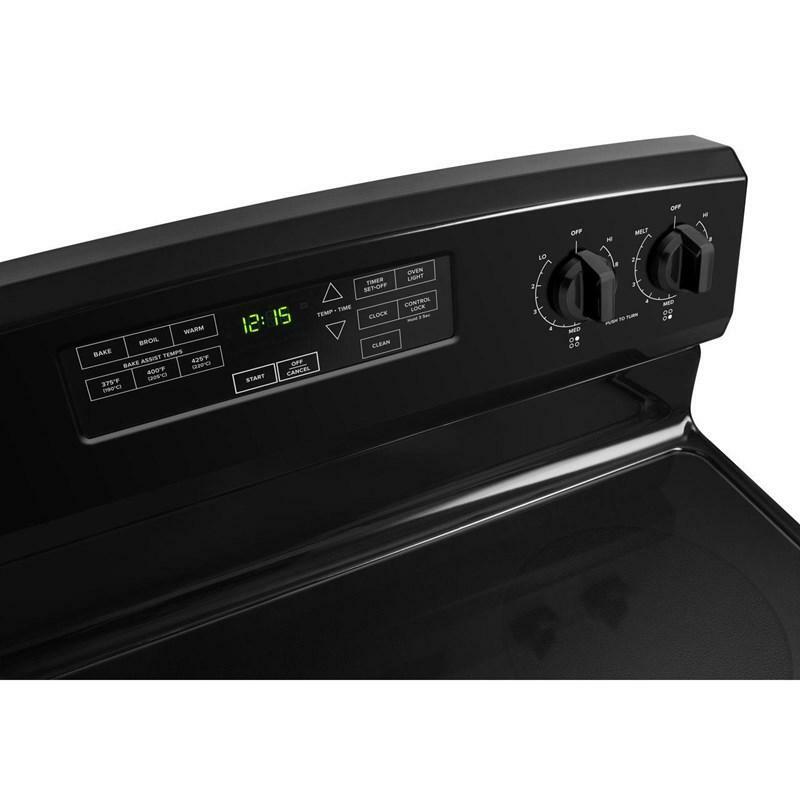 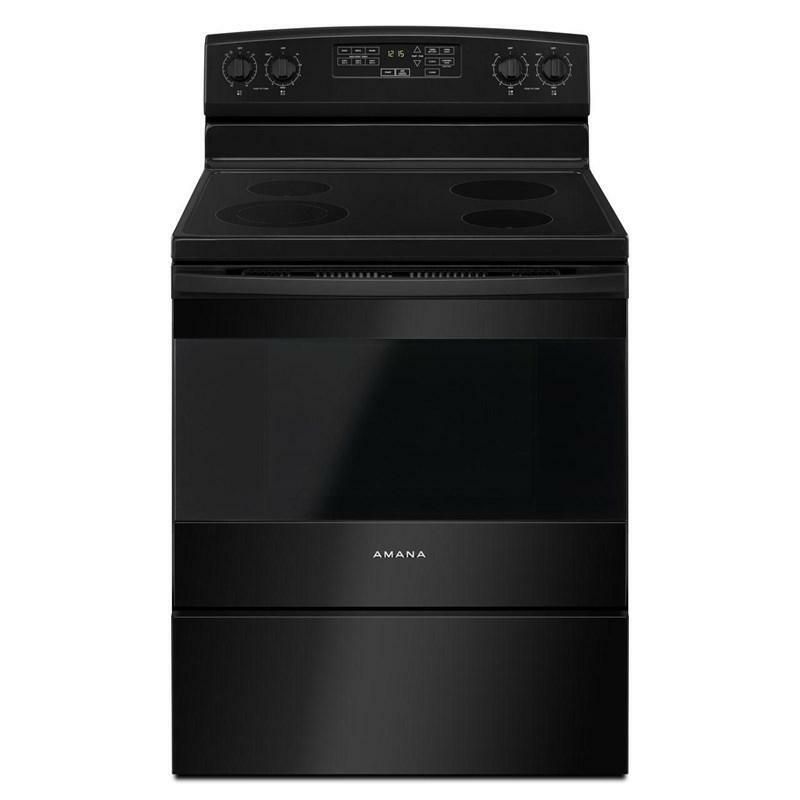 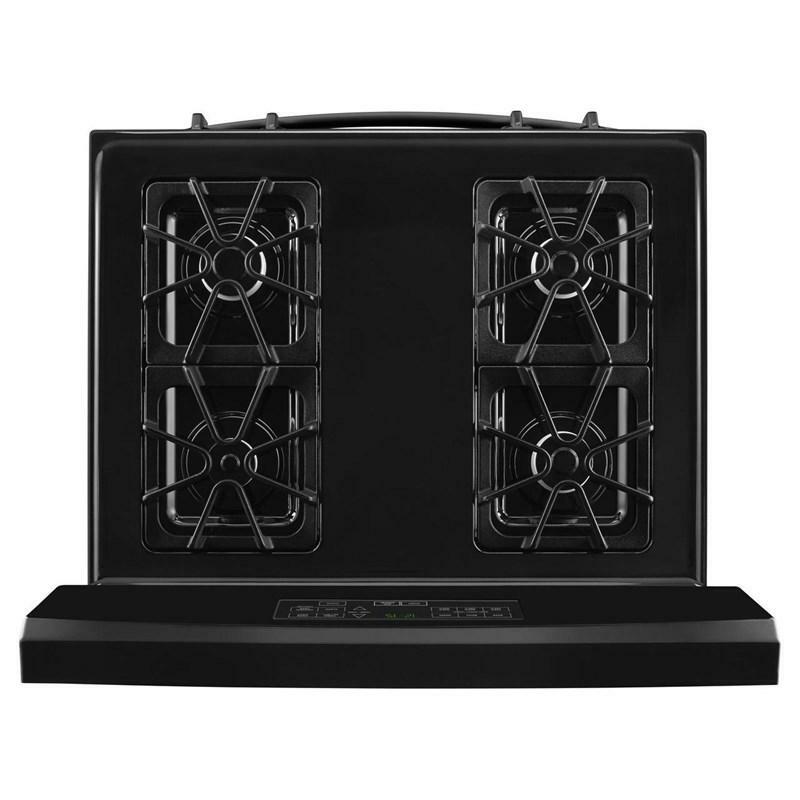 Amana® 30" electric range with Bake Assist Temps that offers a large oven capacity to give you the space you need to make dinner and dessert at the same time. Featuring Easy Touch electronic controls, the Temp Assure™ cooking system, extra-large oven window, self clean option, custom broil and oven lockout. 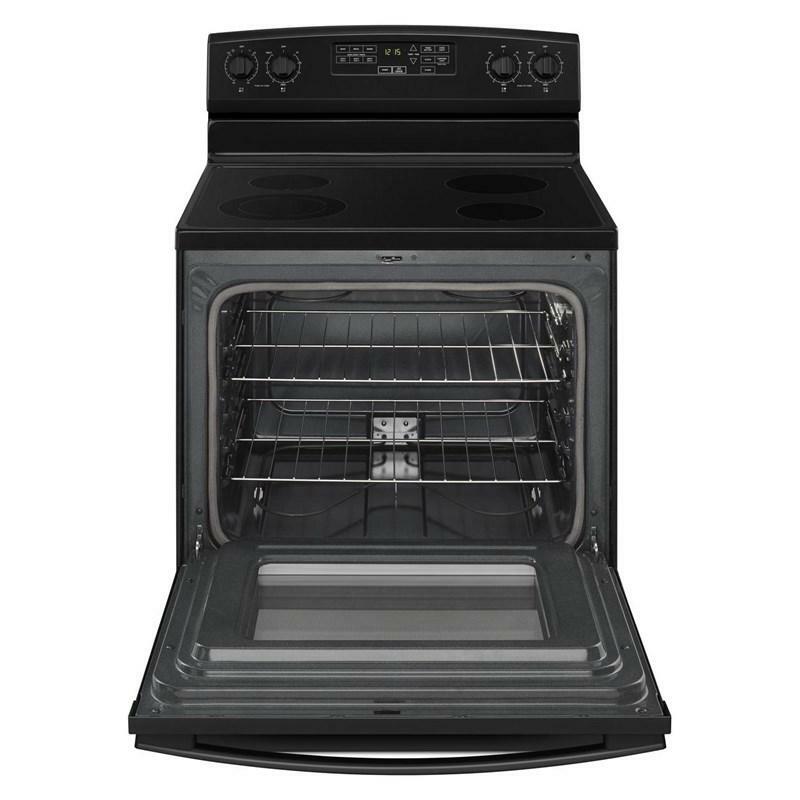 Burner/Element Size • Left Front Element: 9"/6"
• Right Rear Element: 8"
Additional Dimensions Overall depth: 27.75"